Access to the collection is available by appointment by emailing the Curator of the Permanent Collection, Professor Leah Niederstadt. Visitors are asked to familiarize themselves with the Collection Study Room (CSR) Guidelines before their visit. Researchers unable to visit the collection in person are welcome to email with requests for information. Appointments to view objects must be made at least 5 business days in advance. The Permanent Collection is closed on weekends and when classes are not in session. 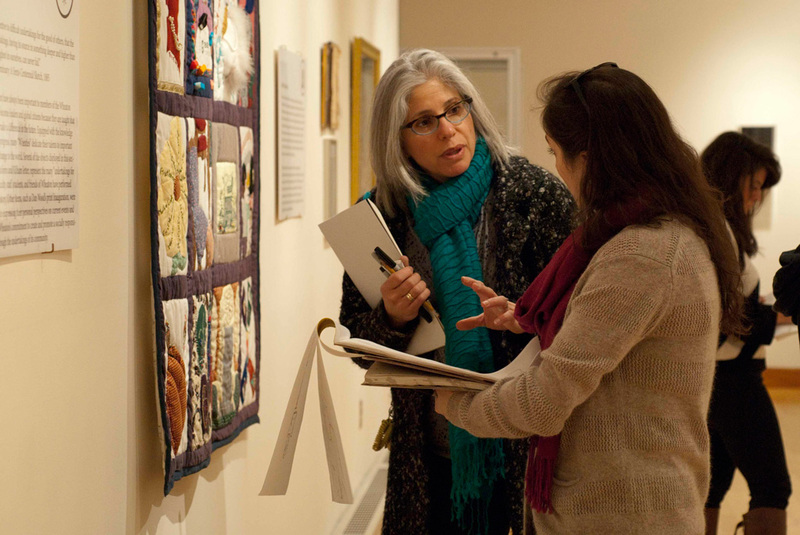 Objects from the Permanent Collection are used in a number of ways to support the education of Wheaton students and faculty research, and to enhance the campus environment. Students in ARTH 111: Arts of the Western Tradition completed a formal analysis assignment using objects in the collection as a means of developing their visual literacy. Since the Fall 2013 semester, students enrolled in Professor Leah Niederstadt’s courses have conducted provenance research on collection objects. Many of their findings have been published in the Collection Highlights section of this website. 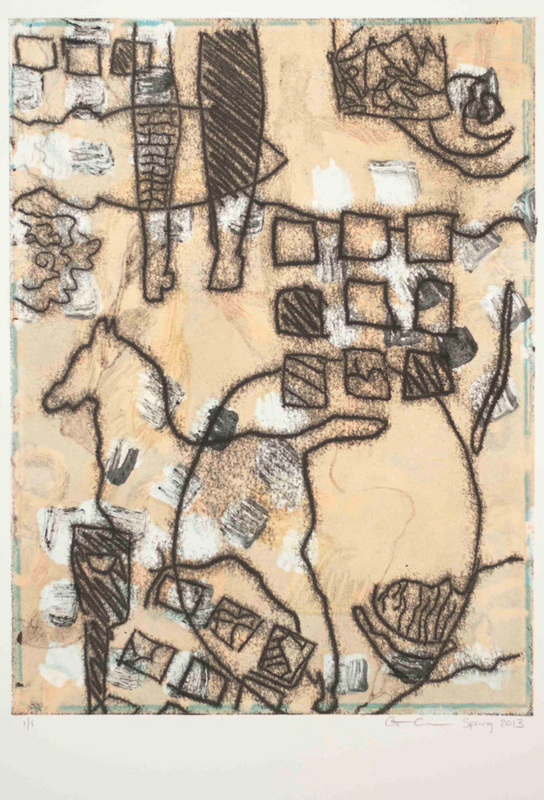 In Spring 2013, students enrolled in Professor Claudia Fieo’s course Special Topics in Printmaking created monotypes using tracings they made of archival and collection objects displayed in the student-curated exhibition 100 Years, 100 Objects. 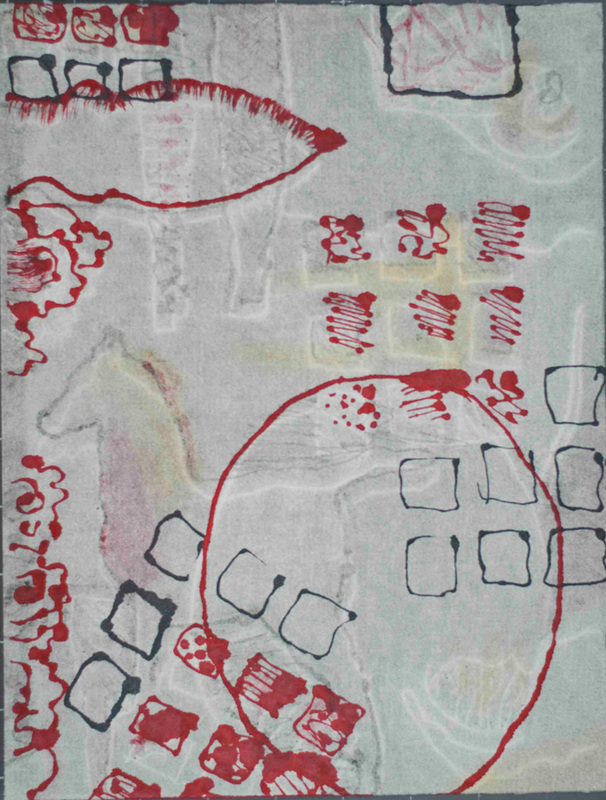 Two of the monotypes created by Christina Cannon, Class of 2013, have since been donated to the collection. December 2012 saw the opening of 100 Years, 100 Objects, an exhibition curated by students enrolled in ARTH 335: Exhibition Design, which is co-taught by Professor Leah Niederstadt and Zephorene L. Stickney, College Archivist & Special Collections Curator. The exhibition featured 100 objects drawn from the Permanent Collection and Wheaton’s Gebbie Archives. Studio Art students enrolled in ARTS 325: Lithography in Fall 2012 studied Liberation, an artist’s book created by Kate Kimball, Class of 2012, using polyester plate lithography and watercolor. During the Spring 2012 semester, Dean Alex Trayford’s Introduction to Archaeology students viewed more than fifty objects, including pre-Columbian ceramics and Egyptian, Greek, and Roman antiquities, to complete a research assignment. Students enrolled in Professor Touba Ghadessi’s Fall 2011 course on Renaissance families researched several dozen objects including bronzes, textiles, and prints and wrote interpretive labels for the exhibition The Art of Intellectual Community: Early Modern Objects and Pedagogy. Their work was also published in a gallery guide (pdf). Professor Ellen McBreen’s students in ARTH 240: Art of the Avant-Gardes (1900–1945) created podcasts exploring several 20th-century works of art in the collection.